An article on some real world Black Hats who have become White Hats that I thought you might find interesting. Oftentimes when discussing hackers , there is little mention of these cyber criminal ‘s actual names, or if they were able to thwart the crime life for a legal job. 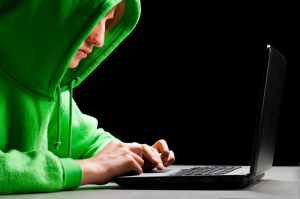 Here’s a look at some famous hackers, they’re misdeeds and what they are up to today. In what could be considered one heck of a party trick, Jack was able to exploit ATMs by inserting malware, enabling the machines to dispense money without a card or account. He also demonstrated how insulin pumps, pacemakers and heart implants could be hacked remotely. Jack died from an apparent drug overdose in July of 2013. Thank you so much for sharing this interesting article, June. It just helped me solve a plot point that had been alluding me for months. Thanks for letting me know and making my day. Thanks Teri, a bit off topic but yes, I really liked knowing who they really were and what they were doing now. Maybe there is a CF author among the group. It’s encouraging that some hackers go on to use their skills for something other than crime. Yes, it is Vicki and thank goodness for it. Thanks for commenting, I’ve missed you but have an idea what you are up to.